The Overcomer 2.0 is finally here, just in time for our 2018 Overcomer T-Shirt Gala! 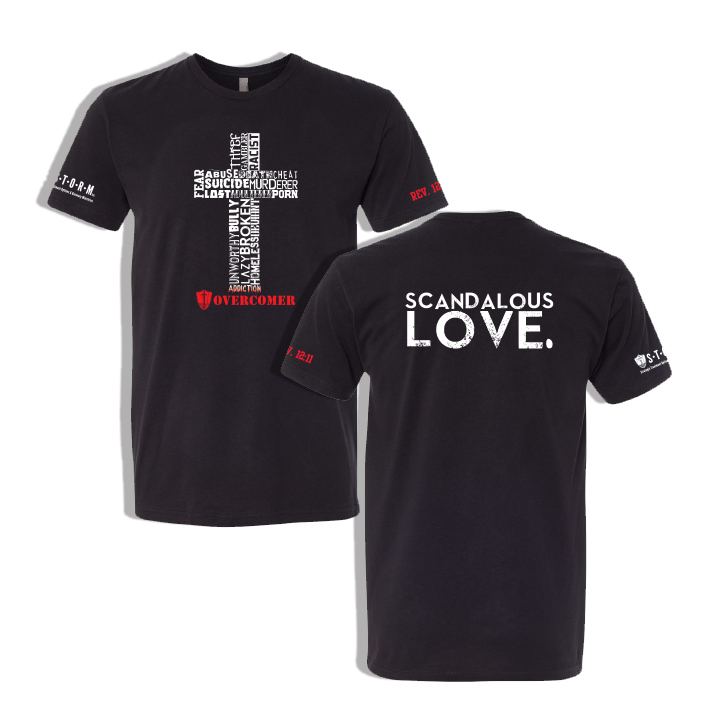 This Next Level Premium Sueded shirt features words that the enemy uses to condemn us, which all died on the Cross with our Savior, Jesus Christ. At the bottom, you will notice that it is His blood that creates the Overcomer, thus proving his SCANDALOUS LOVE printed on the back.